There might be other stars and agents quite willing to pay a $50,000 fine to open up trade discussions about them. Anthony Davis doesn’t want to be in New Orleans anymore. That’s been obvious for a while, to the point that ESPN’s Zach Lowe essentially wrote an entire post in December talking about how it was inevitable, even if he didn’t (or, more likely, couldn’t) come out and say it. So when Davis made the unusual move of formally requesting a trade (through agent Rich Paul), the idea wasn’t much of a surprise. That he did it so openly, though, is certainly a twist, and technically against the league’s tampering rules. So one day later, the league has already levied its punishment, fining Davis $50,000. So what we have here is the league wanting to pay lip service to their tampering rules without putting themselves in a position to have to defend them against a union grievance. And that’s a strategic decision, because there’s no way arguing this sort of grievance could really end well. It comes down to what a player owes a team, and one thing a player pretty clearly doesn’t owe a team is silence so as to protect a team’s leverage in trading them somewhere else. 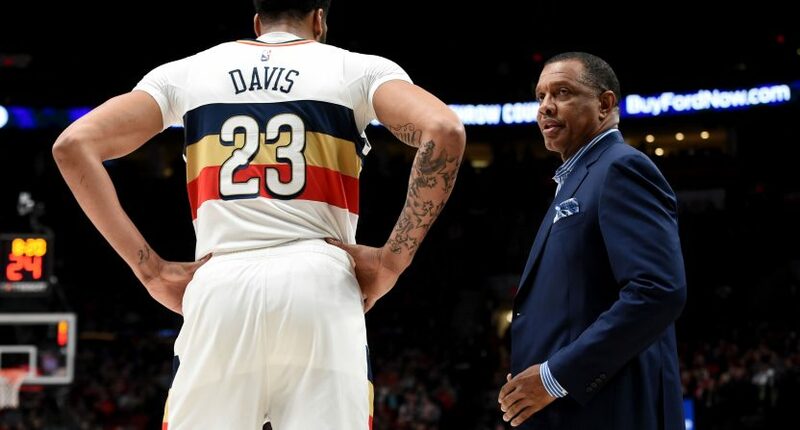 It’s slightly different for New Orleans in that they had one more year of control remaining, but considering their season is a lost cause at this point, it might have made the most sense for them to trade Davis anyway. Whether they would have done that or not, though, is another thing entirely, and Davis clearly felt it was worth pushing the move forward, especially since all it costs him is $50,000. Davis and LeBron share Rich Paul as an agent, and there’s every chance this is a move engineered to get Davis to Los Angeles; if that happens and the Lakers are hit with another tampering fine (less likely given the Rich Paul go-between, assuming he knows how to properly cover), it’s still going to be money well spent. So while attempting to enforce their tampering rules without having to defend them, the league has instead established a bargain rate for having your agent publicly open recruiting season. Good work all around!